For many years people paid hundreds of dollars to make their markers look like an M4 assault rifle. 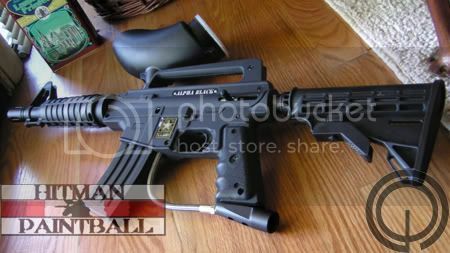 When the US army series came out they offered a high quality Tippmann marker that looked like an assault rifle out of the box. At the time of its release, the alpha black cost less than the combined upgrades it came with out of the box (that is before the marker!). The US Army series markers let players go to a scenario game with a great marker that won’t break the bank. It is also widely used for military training due to its low cost and high performance.